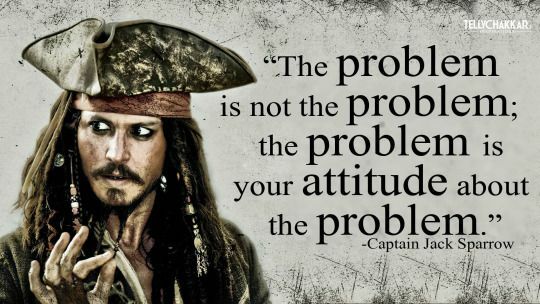 What Is Your Attitude About The Problems You Face? Why is problem such a bad word? Your boss comes to you and says there is a problem and we get worried, fast. 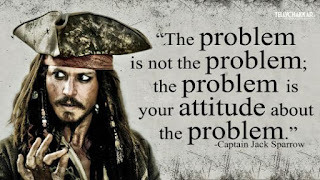 Nobody wants a problem, but rather than look at it with dread, look at it as an opportunity to make something better. I recently had an awful day at work. One of those where a problem spiraled into this complex web of scenarios and variables that made your head hurt because you couldn't tell which path you had wandered down. It was a day when I got nothing done that I was planning. A day where I was just talking to different people one after another to identify the current state. I left at the end of the day exhausted and not feeling like I did much of anything. But I look at it as a great opportunity to figure out how things actually work. The more questions that were asked and the more information we gathered we started to uncover a number of opportunities to improve our business. There were things that were probably happening for years and would have continued on had the problem not presented itself the way it did. Things happen for a reason sometimes. God puts us in situations to reveal new information to us that can help us, we have to be willing to learn from it and except it. Don't cause problems, but when they arise (when not if because they will happen) take a hold of that thing and see it through. That problem is an opportunity for you to do something good for your organization. Are You Happy, Frustrated Or Just Don't Care?